When Gene Stratton-Porter published Her Father’s Daughter in 1921, she was, unbeknownst to anyone else, the civil-rights activist of her day. But her method differed from the ways of those who followed. 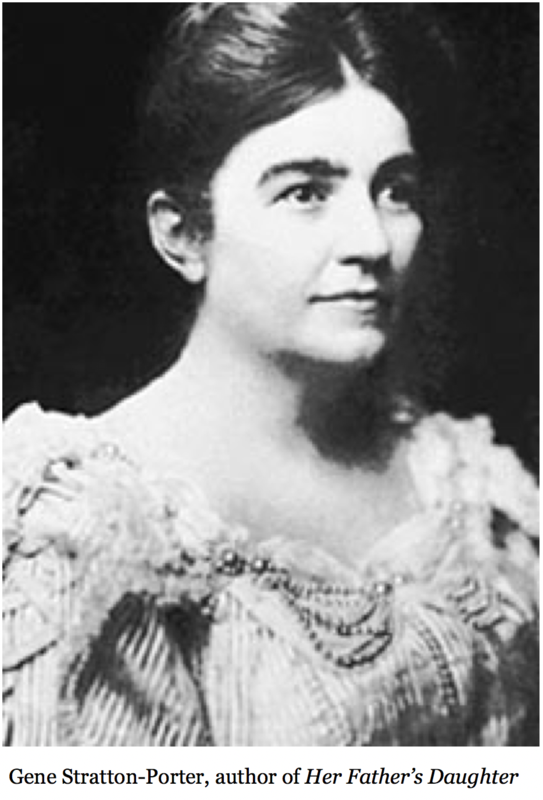 While the civil-rights leader Martin Luther King changed racial attitudes by appealing directly to white Americans themselves, thereby coming into conflict with their cultural prejudices, Gene Stratton-Porter made a subtle appeal to mothers-to-be while they were still children: she entered the hearts and minds of twelve-year-old girls who would become the mothers of the next generation of Americans, and from her grave she would dictate the racial attitude of America for generations to come. 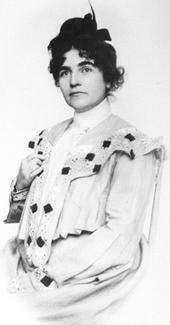 To modern readers, it appears that Gene Stratton-Porter, in Her Father’s Daughter, exhibited racism in the extreme. But a careful analysis of this seminal work reveals just the opposite––that she was a leader, ahead of her time, in promoting an egalitarian regard for other races in a world where this was rare. And she handled this challenge with a finesse never before found and never since seen in the annals of the printed word. 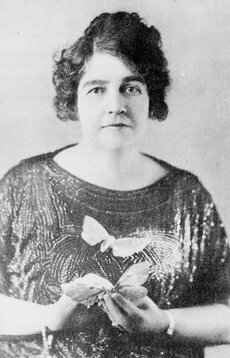 Gene Stratton-Porter instilled into the developing minds of young girls, destined to become mothers, ideas that these mothers-to-be would pass on to their own children, so that the next generation of Americans would have a more enlightened racial attitude. Thus, she created respect for minority races and built the foundation upon which minority civil rights could actually be realized by her successors. And she did this with a complex array of interwoven subliminal suggestions operating at many levels of the subconscious mind. It is one thing to be told a new idea contradicting what you were taught when you were a child and to accept the new idea intellectually. It is something quite apart to have that same new idea made a part of your upbringing. In the first case, intellectual acceptance does not give rise to change in a deeply ingrained attitude. In the second case, the desired attitude is instilled during childhood, so that it will override attitudes of the previous generation. This principle is exemplified by the attitude associated with the caste system in India, an attitude that has not been eradicated by legislation and intellectual arguments. It has been so deeply embedded into the minds of the masses by their parents that it cannot be erased by logical argument, and not enough is being done to instill a more modern attitude at an early age. So it will take many generations to get rid of the old attitude about caste, if that can ever even be done. Changing deeply embedded cultural attitudes is an almost-impossible undertaking. But Gene Stratton-Porter did just that. In order to understand the workings of her mind, as revealed in her writing, one must first look at the racial attitude prevailing in her day: in the late nineteenth century, it was commonly believed that East-Asian peoples were of inferior intelligence compared to the white man. An illustration of that racial attitude is found in a headline in The New York Times in 1901 that read, “Chinese Shoot Straight.” This story revealed that, contrary to popular belief, Chinese soldiers actually had enough intelligence to align the sights of a rifle well enough to shoot straight on the battlefield. The existence of this level of intelligence in East Asians was such a surprise to western newspaper readers that it became headline news. And in that era, Down syndrome was referred to as Mongoloid idiocy, a medical term based on an ethnic-classification theory that related head shape to intellectual capabilities. That theory, which was part of the medical science of the day, led to the belief that, because of the shape of their heads, East Asians were of low intelligence. It was in this attitudinal environment that Gene Stratton-Porter wrote Her Father’s Daughter, a novel in which the student standing at the top of the senior class in a Los Angeles high school was Japanese! In order to overcome the shock, in order to overcome the outrage that this affront to common sense would cause readers of the day, it was necessary to introduce, into the story, inconsequential, commonplace racial remarks to avoid alienating intelligent, civilized Americans, and thereby jeopardizing her goal: to get her readers to regard East Asians as having human intelligence like the white man. Gene Stratton-Porter makes the top student Japanese to suggest that East Asians are as intelligent as western peoples, and she cloaks this seemingly preposterous suggestion in a scholastic-contest subplot inlaid with unusually harsh racial comments uttered mainly by the lead character Linda Strong, a high-school junior. These harsh racial comments were a necessary part of her strategy to infuse the reader with an egalitarian racial attitude. By creating a struggle between the races, she was able to end up with the white student winning the battle against the Japanese student, but with the Japanese race ending up intellectually equal to the white race in the mind of the reader. If she had created a story that extolled the intellectual equality of the Japanese with whites, the reader would have scoffed at what would have been perceived as ludicrous, because it would have violated the common attitude of the times, and her attempt to create an egalitarian racial attitude would have failed. But, by displaying antagonism toward the Japanese, and by warning of the great danger they presented to the white race, she was able to make the reader accept everything she said about the intellectual capabilities of the Japanese. Here, Donald Whiting, despite being “one of the most brilliant and popular seniors of the high school,” shows a weakness that subliminally suggests that the white man, even at his very best, is not intellectually superior to the Japanese. 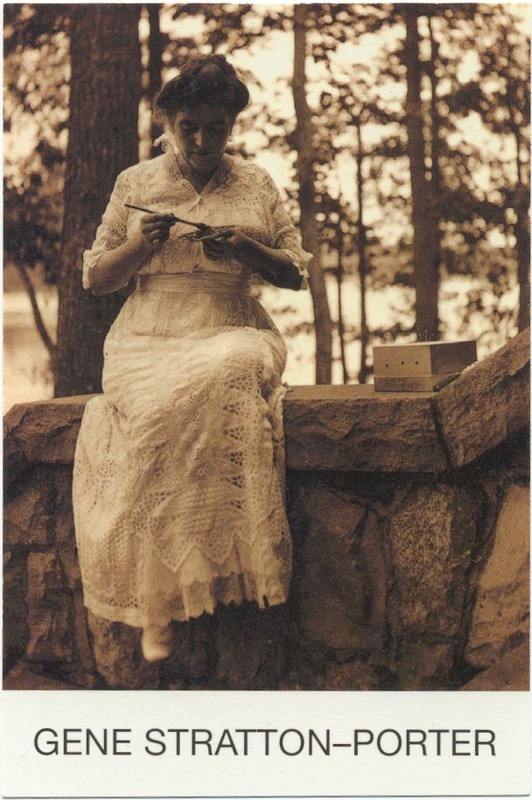 Here Gene Stratton-Porter suggests that only Heaven can help the white man, so lacking in creativity is he by himself, i.e., the creative white man needs divine assistance to make himself creative to achieve the supremacy to which he has a right. And the relentless brooding, day and night, is a subliminal suggestion that the Japanese are so smart that beating them intellectually will entail enormous mental effort. “I implore high Heaven to send him an idea … to beat that Jap.” implies that the white man’s intelligence is not better, but that the white man needs help from Heaven to beat the Japanese intellectually. (1) the qualification “of course there are exceptions, there always are”; and she later tells Donald how to outdo the Jap––by getting help from his father’s books, then from Peter Morrison’s books, and then from ideas she seeks to get from high Heaven by praying. So, the ability to be more than imitative is had by only a very few white people, since even the smartest in the class need help. So the “exceptions” among the Japanese, by implication, are as prevalent as the creative among the white race. The lofty attributes that the author has given Linda Strong give credibility and authority to her denunciations against anti-Japanese name-calling, legislating, boycotting, and tricks. And by slamming down the lid on the lunchbox and having battle in her eyes, and the anger implied thereby, she adds emphasis to the outrage that these odious activities should give rise to in the developing minds of the young readers of this book. And by referring to Earth as “God’s footstool” she adds a moral connotation to the behavioral advice that Linda Strong is giving. This passage under these circumstances will instill in any reader, particularly the young, a disinclination to advocate anti-Japanese name-calling, legislating, boycotting, or tricks, firstly because they won’t work, and secondly because they are immoral. So, Linda Strong is advocating respect for the Japanese. In addition, she uses the phrase “commendable to your soul” to reaffirm that it is immoral to behave otherwise, and not befitting a member of our society. And the apparently negative accusations she uses reinforce the idea of intelligence: “sly as a cat” and “bag full of tricks.” So, under the guise of waging war against the Japanese, Gene Stratton-Porter is making a subliminal suggestion, at both a behavioral and a moral level, that respect for the Japanese is an essential element in that war. This passage suggests that the Japanese are courageous, and it will increase the esteem in which they are held by readers. So, in this war against the Japanese, Gene Stratton-Porter is making a subliminal suggestion that the Japanese are worthy contenders in that war, and are worthy of our esteem. “Man, you mean,” interposed Linda. Again, Gene Stratton-Porter is advocating respect for the Japanese. Donald’s appellation for the Japanese student changes from “the little monkey” to “Man” to “my esteemed rival.” This change is brought about by the exhortations of authority-figure Linda Strong, and is introduced to instill into the developing minds of young readers an inclination to renounce the use of degrading ethnic terms and to show proper respect for the Japanese. “Now what on earth do you mean by that?” inquired Donald. “Now, that is something new to think about,” said Donald. Why does Gene Stratton-Porter happen to be talking about avoiding conflicts with wild animals just before talking about defending oneself from Oka Sayye, “the Jap”? Although the story progresses logically as it is, one would normally introduce a discussion about justifiable conflict, with something that could detract from the immorality of the violence being advocated. The primary reason for the at-one-with-Nature passage is to instill in the subconscious mind of the reader a subliminal suggestion that will dispel prejudice, discrimination, and antagonism against the Japanese, but there is a secondary purpose: to create the feeling that violence is unnecessary so that the possible violence dealt with objectively will not be acted upon. She is making a secondary subliminal suggestion to the reader so that the reader will read the conditional (preceded by the word “if”) exhortation to violence with an underlying disinclination to violence. So, the talk of defending oneself from Oka Sayye was introduced to mask a subliminal suggestion that will dispel prejudice, discrimination, and antagonism against the Japanese (an idea that might appear too favorable to the Japanese) with a call to battle that will not be acted upon, but nevertheless a call to battle that will prevent the reader from thinking that the author is pro-Japanese. And from this at-one-with-Nature passage we can see that Gene Stratton-Porter recognizes “a blood brotherhood with everything living.” And this passage makes a subliminal suggestion to the reader, at a philosophical level, that a blood brotherhood with everything living (including the Japanese) is an essential component of moral philosophy. The red in Linda’s cheeks deepened. Her eyes opened their widest. She leaned forward, and with her closed fist, pounded the blanket before him. Donald started up and drew a deep breath. While authority-figure Linda Strong extols the supremacy of the white race and proclaims the Japanese inability to do anything other than copy, Gene Stratton-Porter portrays the top white student as lost and seeking leadership and ideas from Linda Strong so that he can copy them in the way Linda Strong accuses the Japanese of doing. So, under the guise of advocating white supremacy, she is making a subliminal suggestion that the whites are having a tough time making their claim to supremacy, perhaps because they are not really trying, perhaps because they are net really supreme. These four passages will disincline readers against unfairness. The reader is led to believe that the honorable and intelligent thing to do is to be fair––to be “an inspiration to any boy of white blood among any of our allies or among peoples who should be our allies.” And the exhortation to beat them is a subliminal suggestion that they are a real challenge because they are as smart as the white race. So, black people too are a challenge to the superior intelligence of the white people. This negative image of the Japanese student is introduced into the story to preclude accusations of being pro-Japanese while being outside the experience of readers who did not see menacing bristles or frightening things whenever they have looked at Japanese students. So, this passage will incline readers to be hostile only to those Japanese who have a frightening look in their eyes or menacing hair, i.e., none at all. In addition, the term “blood brotherhood” used in this passage is also found in a later passage where Linda Strong extols the virtue of having a “blood brotherhood” with anything living. So, by creating a glowing patina on the term “blood brotherhood,” that later passage contradicts and counteracts, in a subliminal manner, the apparently threatening aspect of the “blood brotherhood” among the Japanese. So, the “red man” and the “huge, evil, leering red face” really represent a fine breed of people after all, perhaps more supreme than the whites of white-supremacy fame. This commendation of North American Indians is a subliminal suggestion introduced to emasculate the passages earlier in the novel about the “red man and the yellow man and the brown man and the black man” relating to the “yellow peril,” and the “menacing faces, black faces, yellow faces, brown faces, and under the flash of lightning, just at the obscuring of the sun, a huge, evil, leering red face” relating to the drawing Linda Strong did for Peter Morrison’s patriotic diatribe. And “a product of our civilization” refers to white supremacy and the white man in North America, and this reference emasculates “the white man’s right to supremacy” raised earlier in the story by Linda Strong. Readers will know that this does not apply to their own situation, because they will be sure that no Japanese student in their class is much older than they are, and certainly not thirty years old. Nor would rouge or lipstick fool anyone, certainly not for the full school year. “At that minute from high on the mountain above them a shower of sand and pebbles came rattling down. Linda gave Katy one terrified look. “Just how Linda recrossed the bushes and reached Katy she did not know. She motioned for her to make her way back as they had come. Katy planted her feet squarely upon the rock. Her lower jaw shot out; her eyes were aflame. She stood perfectly still with the exception of motioning Linda to crowd back under the bushes, and again Linda realized that she had no authority; as she had done from childhood when Katy was in earnest, Linda obeyed her. She had barely reached the overhanging bushes, crouched under them, and straightened herself, when a small avalanche came showering down, and a minute later a pair of feet were level with her head. Then screened by the bushes, she could have reached out and touched Oka Sayye. As his feet found a solid resting place on the ledge on which Linda and Katy stood, and while he was still clinging to the bushes, Katherine O’Donovan advanced upon him. He had felt that his feet were firm, let go his hold, and turned, when he faced the infuriated Irishwoman. She had pulled the strap from around her neck, slipped the axe from it, and with a strong thrust she planted the head of it against Oka Sayye’s chest so hard that she almost fell forward. The Jap plunged backward among the bushes, the roots of which had supported Linda while she used the glasses. Then he fell, sliding among them, snatching wildly. Linda gripped the overhanging growth behind which she had been screened, and leaned forward. “He has a hold; he is coming back up, Katy!’ she cried. “Katy took another step forward. She looked over the cliff down an appalling depth of hundreds of feet. Deliberately she raised the axe, circled it round her head and brought it down upon that particular branch to which Oka Sayye was clinging. She cut it through, and the axe rang upon the stone wall behind it. As she swayed forward Linda reached out, gripped Katy and pulled her back. Although this passage emphasizes hostility, the use of the nurse, rather than a student (“again Linda realized that she had no authority; as she had done from childhood when Katy was in earnest, Linda obeyed her”), as the wielder of the axe removes any suggestion of student violence against ethnic minorities, and since it is in response to an attack, it does not create hostility towards peaceful people. Fourth level––philosophical ideas: brotherhood of all living creatures; being at one with Nature. With subliminal suggestions, part of the reader’s thinking is done by the subconscious mind, and the result is achieved without the reader even knowing consciously what happened. The reader thinks that she has adopted the combative attitude of Linda Strong, while she has really adopted the egalitarian racial attitude of Gene Stratton-Porter. And how do we know that all this was done by subliminal suggestion? It is because not even the intelligentsia realized what happened or why. It was done below the threshold of consciousness––without the reader being aware of it. And its effectiveness can be seen by the egalitarian attitude Americans have about East-Asian peoples. 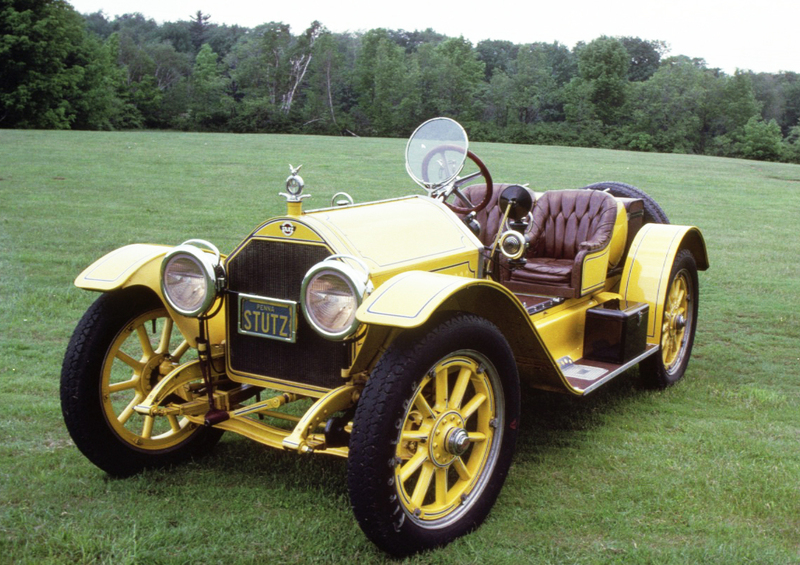 No one has ever before seen the motive or method of Gene Stratton-Porter––until now. Long before the Civil Rights movement arose, there was Gene Stratton-Porter, a silent activist before her time. She is acknowledged to be a conservationist before her time, but what people do not realize is that she started her own civil-rights movement without anyone knowing about it. And she did it without disturbing anyone. “Man, you mean” does not sound like much now, but it did then. She is the champion of civil rights, and no one ever noticed. She was so secretive at promoting her goal that it was reached with no one ever noticing that she was the one who brought it about. No one could oppose her because no one realized that a change was taking place. And her method was more effective than a direct appeal because she instilled her ideas into the minds of young girls who, as future mothers, would pass these ideas on to the next generation of Americans. There were no wars, and no casualties other than her own reputation in the eyes of posterity, who regard her as having a racist attitude. Yet she laid the foundation and paved the way for the Civil Rights movement that arose decades later and that continued the job she had begun, when the young girls for whom she had written had borne and raised their children who would be part of a more receptive audience for the advocates of Civil Rights a generation later. Many Americans look at their country and see it as the best country in the world. But few know why. It is because of the egalitarian racial attitude begun in America by Gene Stratton-Porter, an attitude found nowhere else until later. It is an attitude that fosters unity with diversity, a winning combination in which diversity generates creativity without being stifled by disunity. Diversity brings diverse ideas to all, and new ideas then arise from the combining of those diverse ideas. Unity allows these new ideas from diverse peoples to interact, serving one another, resulting in benefits to all. It is a winning combination found more in America than anywhere else on earth. Aristotle said that the best race to be is the one prevalent it the country in which one is living. Until Gene Stratton-Porter and Her Father’s Daughter, this was true everywhere. But it is not as true in America as it is in the rest of the world, thanks to Gene Stratton-Porter and Her Father’s Daughter. It is tolerance and racial harmony that promotes peace, prosperity, and happiness. And with the massive movements of peoples throughout the world today, this is more important than ever before. And in this area, America leads the world. Her Father’s Daughter set the stage for civil rights for all minorities, and American influence spreads civil rights throughout the world. Gene Stratton-Porter took arguments found in contemporary diatribes against the East Asians and used them to present a glowing image of the abilities of the Japanese. The presentation of them as constituting a great intellectual threat prevents any reader from thinking that the Japanese are stupid (even though the yellow-peril conflict that existed in the minds of people of the day was not an intellectual contest, but rather a challenge that a low standard of living in the east gave rise to against the jobs of unskilled labor in the west). is an indication of what Gene Stratton-Porter might have done had she not met an untimely death at the peak of her career. And it is an indication of what was ultimately to occur at the hands of those who followed and built upon the foundation that she had created. One biographer writes, ‘As Stratton-Porter explained in “My Work and My Critics” (1916), “the task I set myself was to lead every human being I could influence afield; but with such reverence instilled into their touch that devastation would not be ultimately complete.” She certainly encouraged her readers--female and male--to venture “afield,” and throughout her career she advocated a policy of conservation that was decades ahead of her time.’ But it was not merely her feelings about conservation that were decades ahead of her time. Though no longer widely read, Her Father’s Daughter has laid the foundation for a harmonious world; a foundation that is buried under, and hidden by, what continues to grow and be built upon it. And from her grave, secretly and silently, Gene Stratton-Porter dictates the racial attitude of America, and ultimately the world. Copyright © 2011 by Peter Eickmeier. All rights reserved. Below are pictures of Gene Stratton-Porter from the age of ten years.